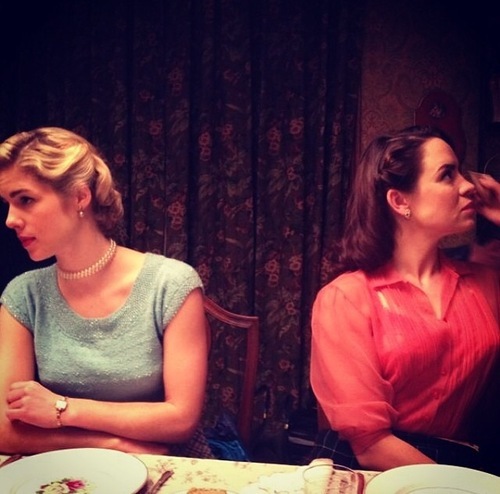 Behind the scenes of Emily shooting Brooklyn!. . Wallpaper and background images in the Emily Bett Rickards club tagged: photo. This Emily Bett Rickards photo might contain likizo chakula cha jioni, chakula cha jioni likizo, chajio, chakula cha jioni, and brunch.